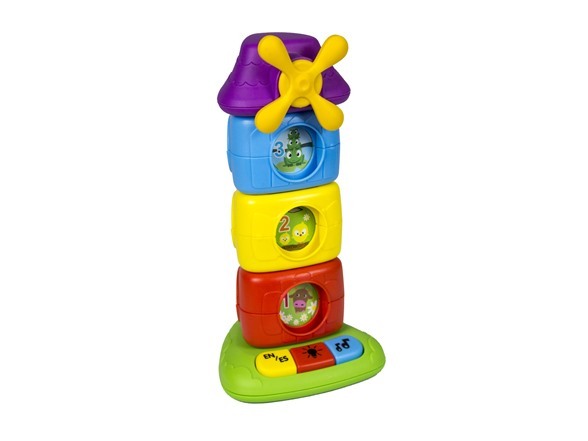 The Unique Shape of this 4 Colorful Piece Stacker will Bring a lot of Fun to young Kids. 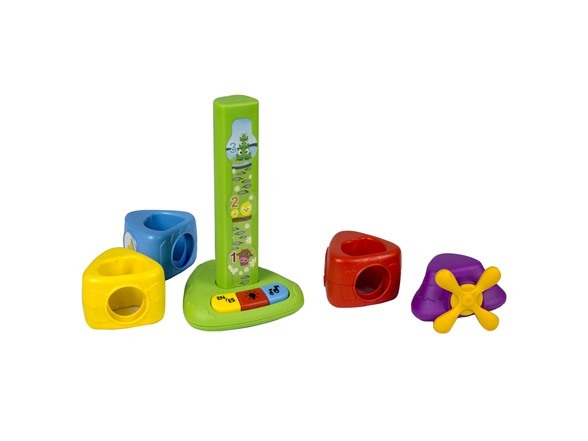 This Stacker will Teach Babies about Animals, Numbers, Shapes and Musical Instruments. Includes 4 Game Modes: Discovery on Animals, Numbers, Shapes and Musical Instruments. Colorful Stackable Pieces, Cute Animal Pictures, Windmill on the Roof and Fun Sounds.